In the penultimate edition of the Jim Cornette series for this week, I wanted to outline a number of issues Jim Cornette has with ‘writing’ or aspiring writers in the world of professional wrestling, in order to both inform us and avoid verbal abuse at the upcoming seminar on How To Be A Manager and Booker this Sunday at the WrestleTalk TV studio. For the full in-depth verbal assassination by the man, written in his own words, check out ‘The Write Stuff’ entry in the Wrestling Observer Magazine and reprinted in Cornette’s Commentary. Cornette has been very vocal about the distinction between, and the displeasure he holds, for ‘sports entertainment’ in comparison to the ‘professional wrestling’ that he loves so much. Do not ask him, as he has been faced with countless times, ‘how do I become a writer?’ or present him with a ‘script’ because he does not take too kindly to them and here’s why: wrestling uses bookers and sports entertainment uses writers. The experience needed to book a professional wrestling show is vast and never-ending as it requires you to not only possess great knowledge and have a great deal of experience in wrestling, it also involves the ability to spot and groom future talent (whilst simultaneously managing your current roster correctly). Cornette himself was looked at as a maverick for assisting Ric Flair in booking WCW when he had already been a working manager for six years at the age of 28. The booker, as was their role from the 1920’s and 30’s, served as the matchmaker and decided who would wrestle who, who would win, constructed finishes that would end a program or lead to a rematch. They were in charge of the talent roster, thereby hiring and firing wrestlers to work in their company or territory. The booker would provide the main points of a match but the rest was up to the discretion of the talent involved who had considerable leeway (although if you listen to Part 1 of Chris Jericho’s podcast ‘Talk Is Jericho’ with Chavo Guerrero, you get the impression that WWE and Vince McMahon hold a very tight rein over what happens throughout a show). The position was subject to management by the promoter – if business was good, they stayed and if business dropped they were terminated. The booker’s basic instructions would have to be capitalised upon by talent in order to draw money for the company. For example, ‘Cowboy’ Bill Watts sent the legendary Junkyard Dog to work under booker Ernie ‘Big Cat’ Ladd. Here, Ladd placed JYD into a 20 minute match in order to test his conditioning and was immediately fired by Watts. The reason given behind this was that Watts hired Ernie Ladd to make his talent look good and hide their weaknesses, not expose them. Thankfully for Ernie Ladd, he was rehired very shortly afterwards. Drawing money is an incredibly important aspect from both a business and individual standpoint. By allowing the stars to come across as unique, charismatic and talented through a wrestler being built up correctly, performing in the booker’s angles, finishes and promos properly, building their win-loss records and manipulating personal issues into match-ups or title contests against other stars. 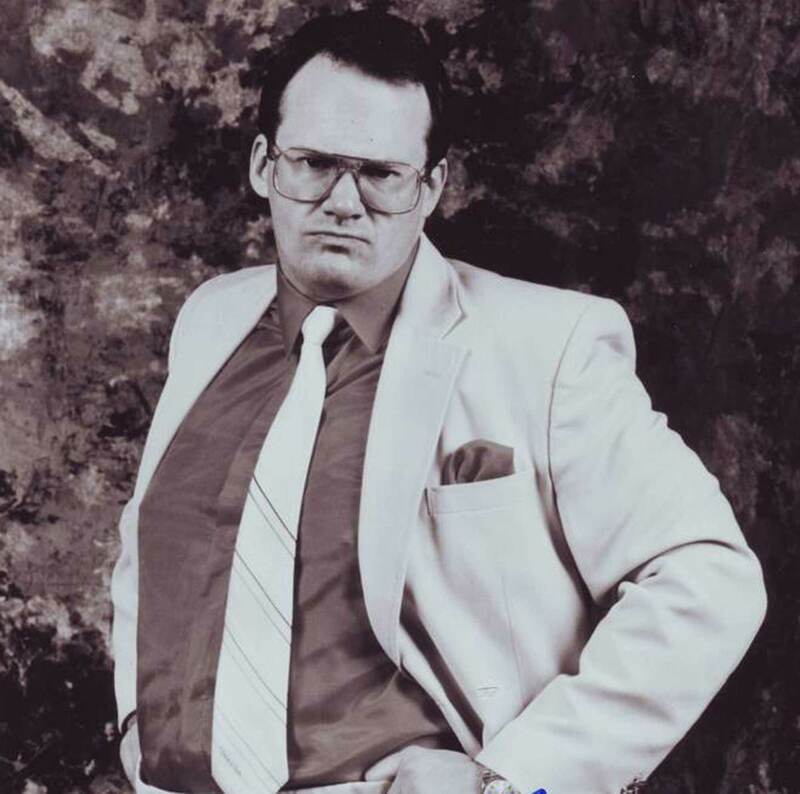 Nowadays, Cornette sees no opportunity for the talent to shine through and draw any money because very few are put into a position where they can allow their uniqueness and contributions to shine through in order to prove their talent, rather than someone’s writing for them. That being said, Jim Ross has gone on record in an episode of the Legends of Wrestling roundtable as part of WWE On Demand, in saying that there is always the opportunity for talent to go off-script and be creative, presenting their own ideas and practices so they don’t end up being a cookie cutter, cut-out or stale whilst appearing unauthentic. – Do not call wrestling ideas laid out on paper ‘scripts’ – they ought to be formats. – Do not call a wrestler’s in-ring persona a ‘character’ or even a ‘gimmick’ when inappropriate. – Do not call them ‘storylines’ – they are programs or angles. Continuing the long tradition of tough men in wrestling, as discussed in yesterday’s article, a tough guy and former wrestling talent was usually the booker in order to control other tough men and self-believing stars in the locker room, dressing room, backstage or whatever you name it. But Cornette explores the downsides of ‘hokey’ booking and writing in sports entertainment, mixed in with the cosmetic appearance required for wrestlers today and how everything can be extremely damaging to the psyche – e.g. stars given a brief experience with stardom, to then be released because the gimmick given to them didn’t work out and resulting mental instabilities or depression suffered. On the other front, Chris Jericho answered a question on his podcast from a fan regarding being a ‘writer’ in wrestling and ‘The Ayatollah of Rock’N’Rolla’ responded in kind with the harsh conditions the WWE writers are subject to and how fully fleshed out storylines could be diluted or picked apart leaving barely anything left that truly means anything. It appears to be a complicated matter from the point of view of bookers, writers, wrestlers and management. Hopefully, The Cornette Experience will enlighten the UK with answers to these pressing queries. Originally written for Wrestle Talk TV here, published on 21/02/14. Find out more from http://www.hariramakrishnan.com or follow me on Twitter @HotChocHari!